TrainingToday is currently undergoing a course redesign for its 650+-course library. The updated courses are getting a makeover, so they’ll have a more modern user experience, as well as better mobility, easier customization options, enhancements for accessibility, and more. 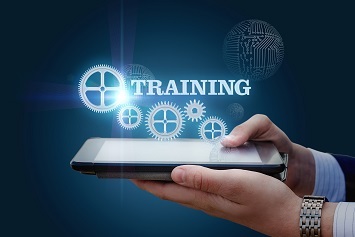 Training Industry continuously monitors the training marketplace looking for the best providers of services and technologies in support of corporate learning and development. This annual list is designed to help buy-side organizations in their search for health and safety training partners. Simplify Compliance helps its customers learn, comply, and succeed by providing mission-critical regulatory and business information, analysis, and tools. Serving a range of industries, including financial services, healthcare, human capital management, and telecommunications, Simplify Compliance provides timesaving products and solutions that help U.S.-based businesses and their employees monitor compliance, optimize financial performance, and create and implement best practices. For more information on their offerings, visit http://www.SimplifyCompliance.com.